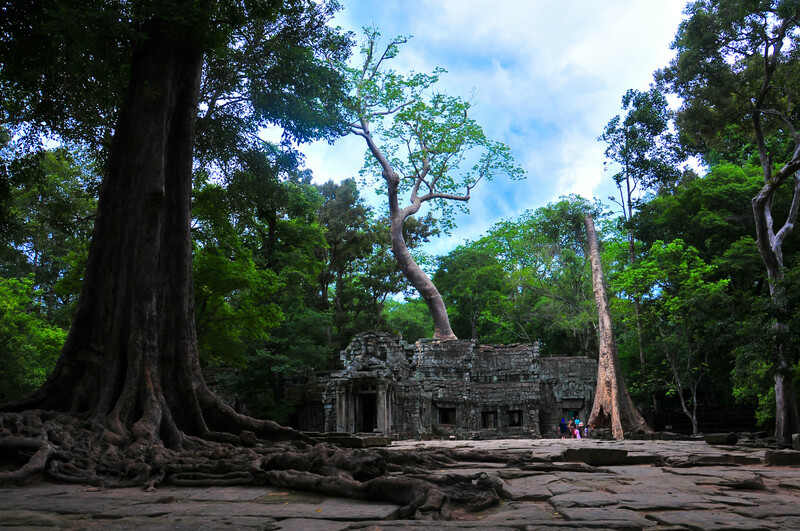 In Cambodia, ancient and modern worlds collide to create an authentic adventure. 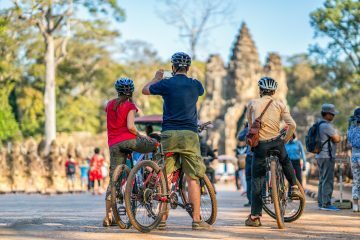 When you would like to experience the rhythm of rural life and landscapes of dazzling rice paddies and swaying sugar palms in Cambodia’s countryside, get this tour. 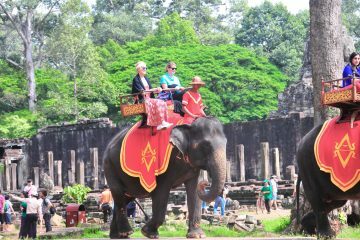 Let’s see the country’s highlights from the world-famous temple complex at Angkor Wat and living as a farming local family to touch closely their local life. Breakfast at hotel. 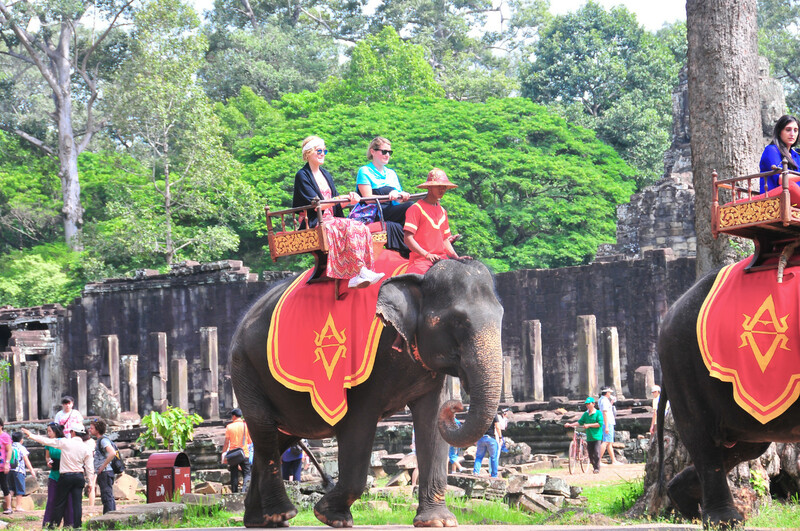 Visit Angkor Thom, the South Gate of Angkor Thom, Bayon Temple, built from the late 12th century to the early 13th century by King Jayavarman VII and consists of 54 towers, the Royal Enclosure, the Phimeanakas, the Elephants Terrace and the Terrace of the Leper King, then visit Ta Prohm, surrounded by jungle. 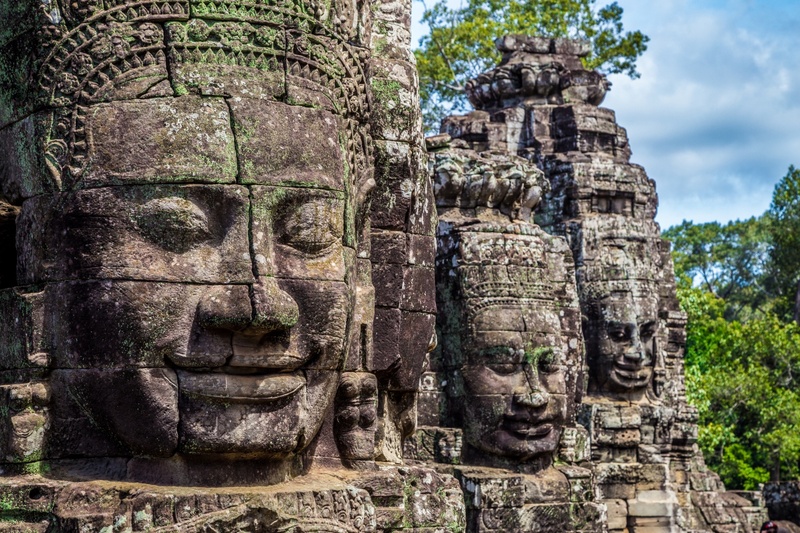 Visit Angkor Wat, the largest temples in world and covers an area of 200 hectares and surrounded by moat and an exterior wall measuring 1300 meters x 1500 meters. 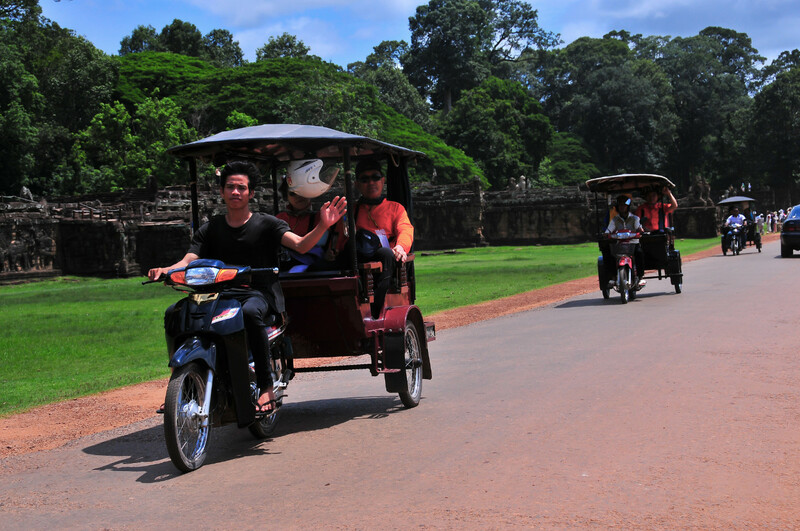 Early evening, you will be taken by Tuk Tuk, a small open-sided taxi common in Cambodia, to cruise around the suburb of Siem Reap town and for a blessing ceremony by Buddhist monks for happiness, prosperity and safety for your journey. Overnight at the hotel in Siem Reap. Breakfast at hotel – you will be transferred to the community village, where is about 20km from Siem Reap town passing villages and rice paddy file. First impression of your village tours is to enjoy with ox-cart ride to cruising around the villages, it is your time to see the daily activity of the rural villagers. Lunch with local people in the village. Take a nap in hammock after lunch, then start to walk within the community to visit the local school, pagoda. 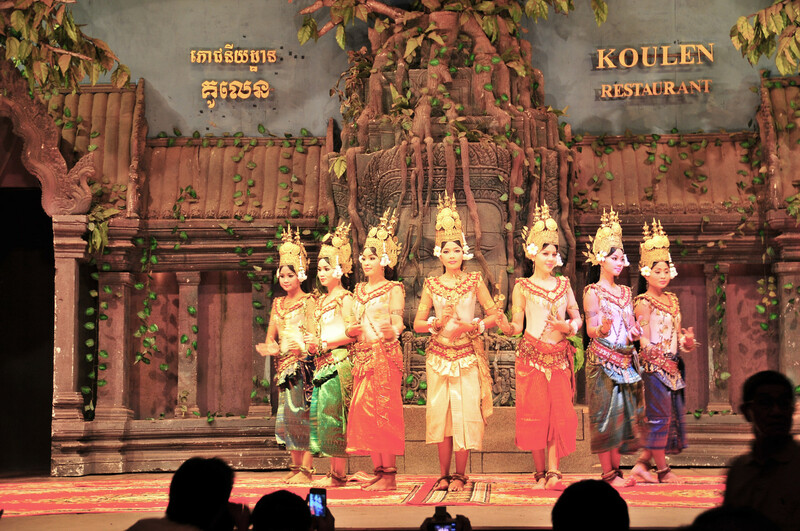 We also try to hand on Khmer gastronomic custom including weaving ”Smok” or weaving thatch, learning to make roof panels, depend on the season of the regional. Dinner at home host family. Overnight in the village. It will be an early breakfast in the morning before leaving from your accommodation. You will be warmly welcomed by our local bird ranger, he will give introduction about migration of birds and then start to walk in the rice field to see some species of water birds and countryside birds such as: Asian Open bill, Spot billed duck, Darter, Black-winged stilts, Little cormorant, lesser Whistling duck and etc. Then our guide will bring you back local market to see fresh vegetable, local activities before heading to local house for cooking class, there you will be warm welcomes by Khmer chef family, and after that the cooling class will being and enjoy your own food. Continue to admire the village’s activities in different village. Early evening, enjoy a local party with local rice wine. You can also watch TV, or you can teach English words to the kids. Overnight in the village. After breakfast at homestay , we head south of Siem Reap to visit the floating village of Kompung Pluk, where we enjoy a boat tour around the village, between the trees breaking through the water surface and soak in the culture of living life on the water. 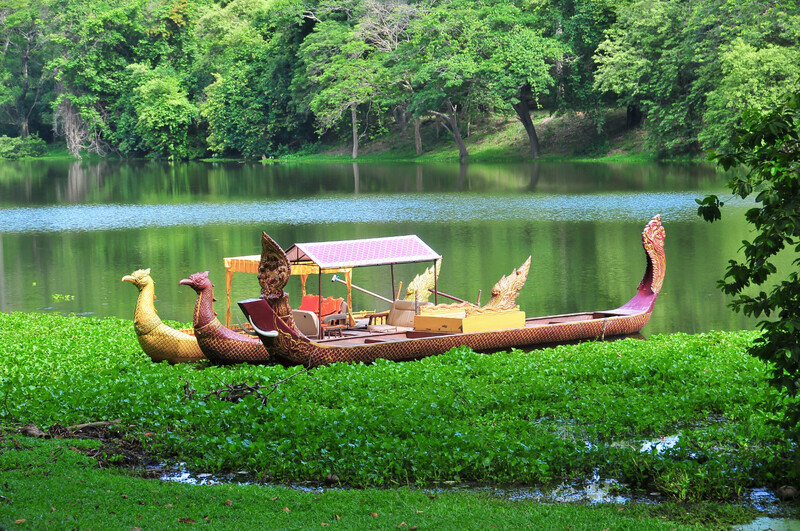 The submerged forest makes this tranquil place unique and is a treat for visitors. Lunch / Dinner with the local people and Overnight with local family on Tonle Sap lake.